Help your child grow up to be a successful reader and learner from birth. Children learn about reading and writing long before they can actually read or write. There are five simple practices that parents and caregivers can use to help children get ready to read: talking, singing, reading, writing and playing. These practices can be easily incorporated into everyday routines and do not require expensive materials. Literacy Lane was developed with these five practices in mind. As you enjoy Literacy Lane, look for opportunities to talk, sing, read, write and play together. That words can be put together to communicate ideas. That by talking about books, they will connect what they read to their worlds. Singing: Songs are a natural way to learn about language. Songs help children learn the rhythms and rhymes of language. Singing slows down language so children can hear different parts of words. Clapping to rhythms helps children hear syllables and improves motor skills. Singing teaches new words and adds to your child’s knowledge. Reading: Reading together is the single most effective way to prepare your child for reading. Children who enjoy being read to are more likely to want to learn to read themselves. Interest in reading is a predictor of later reading achievement. Through shared reading, a child develops a love of books and reading. Enjoying the experience together establishes reading as a positive activity. Writing: Reading and writing go together. Children need frequent opportunities to write and draw as soon as they can hold a crayon. Scribbles build fine motor and writing skills. Talking to your child about what he or she draws or writes makes a connection between meaning and writing. 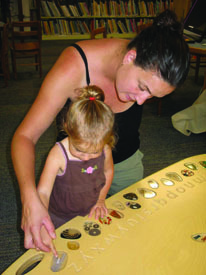 Playing: Children learn about language through different kinds of play. Play helps children think symbolically: they realize that one thing can stand for another. Later, they will understand that written words stand for real objects and experiences. Through play, children tell stories. Understanding the elements of storytelling helps with reading comprehension later. The Literacy Lane experience is designed to foster early literacy and school readiness skills through interactive discovery and play. This can only happen with your involvement, as you are your child’s first teacher. So please take advantage of this opportunity to engage with your children. Literacy Lane is designed specifically for children birth through age five. Parental supervision and engagement will provide the most benefits for your child. 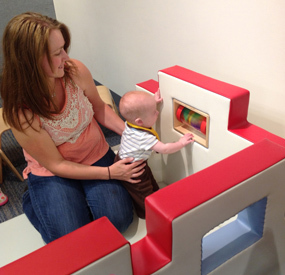 The Baby Book Nook is a safe and special place for infants and their caregivers. Please keep all your children in sight. Please make your child the center of your attention, modeling courteous and attentive behaviors. Guide your child to play constructively with developmentallyappropriate toys. Help us maintain a clean and sanitary environment. Alert us to any spills, etc. Assist your child in putting away materials before moving on to another activity. This teaches your child the importance of clean up, as well as respect for others who will follow them. Have fun playing with your child! Marvel in what children can do. Follow their lead. Encourage them to take each learning experience farther. Discover your own ways to explore. These are teachable moments that will last! Enhance your baby’s earliest literacy experiences by cuddling up with a board book, chanting nursery rhymes and naming everything you see. Encourage your baby to crawl, stand and cruise under the butterfly, dragonfly and bee lights. gain depth perception and spatial understanding. Take turns looking at your faces in the mirror, playing peek-a-boo or exploring the interactive panels together. Browse the themed bookcases, displays and shelves together and allow your child to choose books that interest him or her. Relax in the Circus Car or by the aquarium and read books together. Attend a story time. There are a variety of opportunities. Details at the ASK ME Desk. Guide your child as you point to the letters and name each. Trace the letters with your finger as you say the letter or sound. Guide your child to do the same. Identify the item next to each letter and emphasize the beginning sound. Describe what you are seeing. Talk about the colors, shapes, size and number of fish. Sort and compare what you see by color, shape or number. Use matching skills to identify the fish and creatures that you see. Encourage your child to find what is different or the same in the aquarium. Sit and read books together and make connections with what is in the aquarium. Discover together the various activities each offers. Manipulate various knobs, doors, shapes, beads and more. Encourage the development of spatial concepts and working cooperatively with others. Build gross and fine motor skills together. Explore the numerous programs on the Early Literacy Station or the apps on the iPads. Enjoy a digital book together for a different reading experience. At home, try BookFlix and TumbleBooks. Explore different book collections for your child: picture books, simple nonfiction and even folk and fairy tale titles. 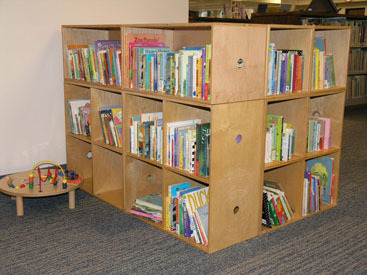 Check out any titles that interest you or your child from our many book displays. Select CDs for music from lullabies to soundtracks to activity songs. Ranger Rick Jr. There are also several parenting titles for adults. Check out the Parent collection for current titles on a wide variety of child care and parenting topics. Potty training, child safety and other topics are in this collection. You will find a selection of nonfiction books which deal directly with a topic, as well as fiction and picture books that present the topic in a story setting. Read to Your Baby provides you with a packet of information about reading, tips for choosing books and gifts for you to share with your baby (infant-11 months). Drop by the ASK ME Desk to receive your packet. Reading is one of the most important gifts you can give your child. Learn what you can do at home to develop your child’s pre-reading skills. Get suggestions for age-appropriate books and resources, as well as easy ways to include these skills in your daily activities. The adults-only workshop is offered several times a year and is designed for parents, grandparents, caregivers, preschool teachers and early childhood educators. 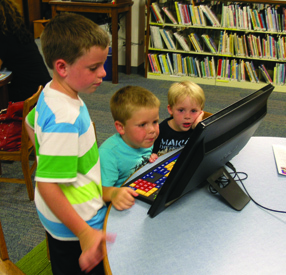 *The Public Library Association and the Association for Library Service to Children, in cooperation with the National Institute of Child Health and Human Development of the National Institutes of Health, have partnered to bring this important information about early literacy to libraries around the country. Your workshop leaders have received training to help you help your child be ready to read. Age-specific story times are offered for infants and one and two year old children with parent/caregiver and three and four, or four and five year olds on their own. These story times will introduce literature through books, fingerplays, nursery rhymes, songs, flannelboard stories and additional components that support early literacy skills. Story Time is offered September-May for ages 2–5 years and year-round for infants and one year olds. Age-specific story time requires registration. 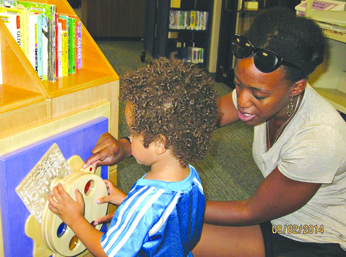 Multi-Age story time is offered year-round on a drop-in basis. Stories Live!Your favorite stories will come alive as the storyteller tells and then explores a variety of ways to share the story again through puppetry, fingerplays, songs and more. We encourage you to attend each story multiple times over the years, as children will experience a story differently at each age/stage of development. Enjoy online books and story reading for children with TumbleBooks and BookFLIX. Healthy Minds: Nurturing Your Child’s Development from Infant to 36 Months is a series of handouts to support your child’s healthy development and growing brain. These handouts were developed by ZERO TO THREE, the nation’s leading resource on the first three years of life, and the American Academy of Pediatrics. Available in counter displays. Mother Goose rhymes, games to play and reading readiness are just a few of the book topics displayed with booklists in the Picture Book area. These early literacy displays change frequently.